Raleigh Legal Services | The Doyle Law Group, P.A. Doyle Law Group P.A. – a Raleigh Family Law Firm focused on relentlessly working to achieve our client’s goals and protecting their rights through the aggressive practice of law, while maintaining the highest ethical standards. Are you in need of a skilled Raleigh Divorce Lawyer to fight for your rights? Do you have questions and need answers? The experienced and dedicated attorneys at Doyle Law Group, P.A. stand ready to help. We know North Carolina Divorce Law and can effectively assist you with all areas of Family Law. We have earned our reputation for aggressive representation when you need it the most. We have over 26 years of combined experience helping Clients with negotiating and litigating family law and divorce claims. We can assist people at any stage of the process, whether preparing for a separation or dealing with the legal issues after a divorce. See below our review the site to investigate more specific areas of family & divorce law. One of the most difficult consultations to have are with those who have recently found out that their spouse is having an affair, as there are no legal remedies that can take away the pain and anguish they are feeling. Our alienation of affection lawyers can help! The law for alimony is complex, evolving, and the most subjective financial issue in any divorce case. Only an experienced divorce attorney can offer you accurate guidance on how alimony is handled in any particular jurisdiction. If you are facing a separation or a divorce and you have minor children, you have some big decisions to make. Resolving custody issues is a frightening prospect for any parent, but we can help! 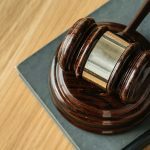 A consent order is an order of the court, signed by a Judge, with all of the same effects as a court order entered after a trial, only it is entered without a trial based on the signed consent of the parties. Contact us about a consent order today! Are you being abused and need help with the legal system? Have you been falsely accused and need an experienced domestic violence lawyer to help? Our domestic violence attorneys can provide that help. 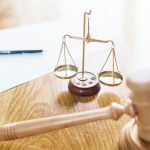 The term Divorce Law is often used as an all inclusive term meant to cover all issues related not only to an actual “divorce”, but also to family law related matters. 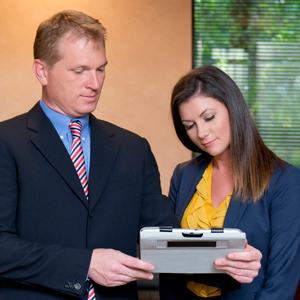 Our family law attorneys can provide you with the help you need. Many folks finding themselves ready to marry, or remarry, often wonder if a prenuptial agreement is really necessary. We recommend looking into a prenuptial agreement. A Separation Agreement can fully resolve claims for Property Division (Equitable Distribution), Alimony, Child Custody, Child Support, and other issues if drafted properly. We can assist you with the preparation of wills, reciprocal wills, revocable trusts, irrevocable trusts, trusts for minors, life insurance trusts and many other special trusts, power of attorney, health care power of attorney, living will and many other services all at a reasonable, fixed cost. Do You Have Questions About Our Legal Services? If you have questions about our legal services or want to schedule a consultation, call (919) 301-8843 or complete the form below, and a member of our team will contact you shortly.